Sayonara savings account and Hellooo Circa 1936 Day Spa! Every treatment they could possibly offer as well as the whole new range of organic Circa brand skin care is on my Christmas gift-to-self list this year! Expect nothing less than pure pampering and relaxation in an Asian inspired day spa, maintaining nothing but the highest standards. There is nothing clinical about this amazing niche in the bottom floor of the Circa 1936 hotel. Here, Ririns’ (co-owner) past in world class spas and intellect in the skin care product and treatment field is exposed and accentuated. As you enter the quiet, peaceful space you’ll notice the style from the main dining area and hotel is carried through, with the most beautiful and interesting art work and vintage accessories placed around the room. Indi, the lovely spa therapist treated me to a glass of chilled ginger tea while she gave me a beautiful foot bath and exfoliating scrub before I had an hour-long massage and facial – I fought and fought against my deeply relaxed state that was trying to send me to sleep because I wanted to be present and remember every luxurious minute of my treatment! The whole process is well thought out and structured to make sure you stay calm, peaceful and flow through each treatment smoothly. 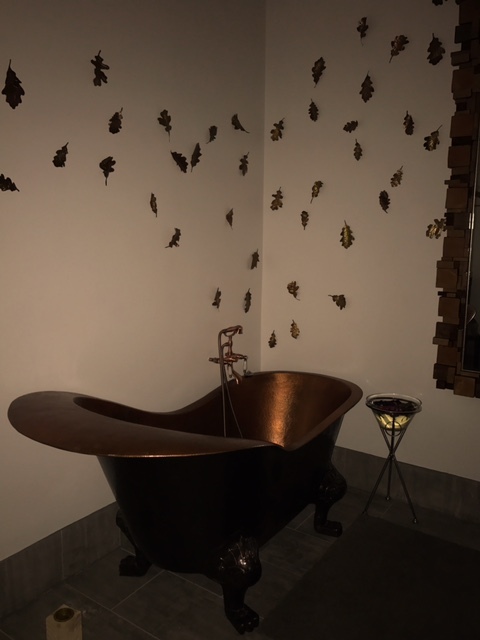 You have the option to enjoy a nice shower or bath while you close your eyes and take everything in – the space forces you to clear your mind of any pending thoughts or worries and be completely immersed in the moment, it’s like you’re in a dream land. Kevin (co-owner) is incredibly dedicated and thorough when it comes to ensuring his guests have the ultimate world class experience – as I wondered through the day spa facilities with him picking his brain about his and Ririns’ past experiences, inspirations etcetera, he insisted that we stand there for a few seconds with our eyes shut, allow our other senses to take in what is going on around us, the smells of fresh lavender, cinnamon and lemongrass, the sounds of the Balinese music playing in the background, the temperature of the room and to focus on these, be completely present in that moment without letting the mind wonder. It was slightly meditating actually. There is a wide range of treatments on offer as well as a couples room, where you can enjoy this one of a kind experience with a loved one. Who would’ve thought such an amazing, world class experience could be offered to you in a small, rural country town like Corowa, NSW.